Computer related eye strain is a growing problem amongst our generation. With more and more people working with digital technology everyday, it’s important that we consider the best ways to improve our workspace and work desk area. Whether you’re regularly using desktop computers, laptops, tablets or smartphones, using these types of screens for intense periods of time can cause eye fatigue and eye strain. The symptoms of eye fatigue and eye strain include tired and sore eyes, pain and discomfort, dry eyes, watery eyes, and itching sensation or even burning. To reduce the risk of this happening, it’s important to take preventative measures in any office environment. Last month was Workplace Eye Wellness Month but don’t worry if you’re running a little bit behind. It’s the end of the financial year and there’s no time like the present to make changes to your office work desk. 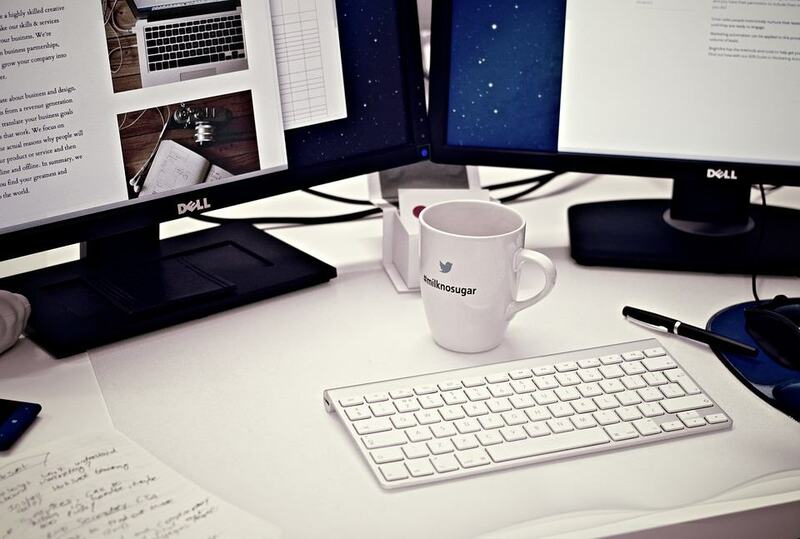 Here are 5 steps to help you maximise your computer work space for better eye health. An old CRT monitor can increase the risk of eye strain so if you believe you are still using old equipment, it’s important to speak to your employer about upgrading to LCD. Because these old style cathode ray tube monitors flicker, they can cause added strain to your vision. Modern LCD screens are not only easier to see but many modern screens are made with an anti-reflective surface too. When replacing your computer screen, you should opt for the highest resolution possible within the allocated budget. Adjust the brightness setting so it’s not too bright and not too dim. The screen should have a similar brightness to your surroundings as to avoid a visual contrast. This will reduce strain when reading and typing. Remember to adjust the text size to suit you. Everyone has a different comfort level when it comes to text size so find one that works for you. If you’re not sure, a good rule of thumb is to select a font size that is three times bigger than the smallest font size you can make out from your regular seating position. Always choose black over white as this is the most comfortable setting for your eyes. Adjust your monitor’s temperature settings. You can also download an app called Flux which helps to regulate the temperature setting of your screen depending on your location. As well as your screen settings, it’s also important to adjust your work station. When it comes to maximising your workstation, the two main things you need to think about are posture / seating and the distance between your eyes and the screen. Firstly, your chair needs to be comfortable and it needs to support a good posture. Poor posture can add to the problem of eye fatigue and it will also hurt your neck / back. Then you need to adjust your chair so it’s at the correct height; you shouldn’t be straining to look up at your screen and you shouldn’t be towering over your work desk either. Then finally, you need to make sure that there is somewhere between 20 and 24 inches between the centre of your screen to your eyes and in terms of angle, the centre of your screen should be around 10 to 15 degrees below your eye line. According to research, up to 90% of computer users suffer from eye strain and one of the main causes is poor lighting conditions. But this doesn’t mean the brighter the better. Harnessing the sun’s natural light is great and it will also boost your mood in the office but too much sun can cause over-brightness and you may find yourself squinting and straining to see your screen. Use blinds and curtains to block out strong sunlight and if possible, try to position your desk so it isn’t directly under a fluorescent ceiling light. 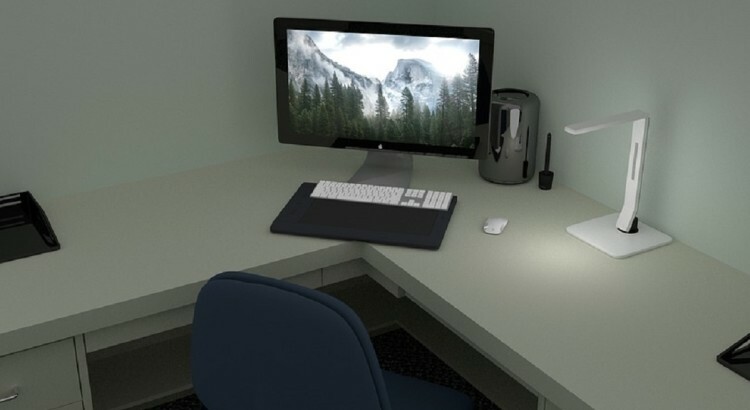 Glare is one of the biggest problems for computer users and it can happen when there are reflections from walls or shiny surfaces. If you think you could be experiencing eye discomforts due to glare, ask your employer about getting an anti-glare screen; these screens easily attach to computer monitors and are very affordable. If you wear glasses, Select Specs can also offer a choice of polarised coatings which will protect your eyes from glare and light reflection; in addition, our polarised lenses will also give you 100% UVA and UVB protection and enhance colour contrast.